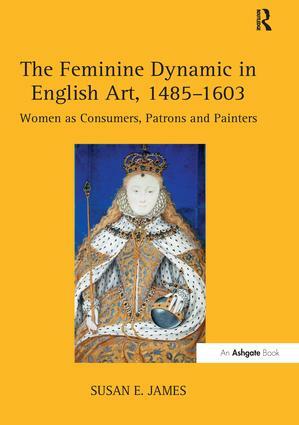 A significant contribution to the understanding of sixteenth-century English art in an historical context, this study by Susan James represents an intensive rethinking and restructuring of the Tudor art world based on a broad, detailed survey of women's diverse creative roles within that world. Through an extensive analysis of original documents, James examines and clarifies many of the misperceptions upon which modern discussions of Tudor art are based. The new evidence she lays out allows for a fresh investigation of the economics of art production, particularly in the images of Elizabeth I; of strategies for influencing political situations by carefully planned programs of portraiture; of the seminal importance of extended clans of immigrant Flemish artists and of careers of artists Susanna Horenboult and Lievine Teerlinc and their impact on the development of the portrait miniature. Drawn principally from primary sources, this book presents important new research which examines the contributions of Tudor women in the formation, distribution and popularization of the visual arts, particularly portraiture and the portrait miniature. James highlights the involvement of women as patrons, consumers and creators of art in sixteenth-century England and their use of the painted image as a statement of cultural worth. She explores and analyzes the amount of time, money, effort and ingenuity which women across all social classes invested in the development of art, in the uses they found for it, and the surprising and unexpected ways in which they exploited it. Contents: Introduction; Patronage and consumption; Painting as presentation; Painting as propaganda; Painting as power; Painting as production and the family business; The art of Susanna Horenboult; The queen's painter: Lievine Teerlinc; Bibliography; Index. Susan E. James is an historian and independent researcher. She received her PhD from Cambridge University and is the author of Kateryn Parr: The Making of a Queen (Ashgate, 1999) and a contributor to the Oxford Dictionary of National Biography (2004).